Tom Koerner is a 10-year veteran of the hospitality and spirits industry starting with his first shift “behind the stick” in Beijing, China during the 2008 Summer Olympics. An appreciation for all things distilled started early and only grew with age: His lineage has deep roots in the Bluegrass State, so distillery tours in Kentucky were a staple of every family road-trip. 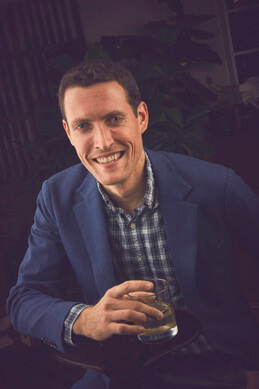 While going on to earn both a LLM from Peking University in Beijing and a MSc with Distinction from the London School of Economics, Tom continued to pursue an education behind the bar by fostering loyal communities of regulars in both Beijing and London, as well as in his hometown of Austin, Texas. Cocktail competitions and spirit conferences have taken him across the pond to Ireland and the British Isles, as well south of the border to Oaxaca. Today, Tom is the Brand Ambassador for Mezcal Unión and performs a dual role for the 213 Hospitality Group as staff trainer for Seven Grand Whiskey Bar and Las Perlas Mezcaleria in Austin, as well as Spirit Guide for their respective Whiskey Society and Mezcal Collective. He’s also worked at the Stephen F. Austin Hotel bar, Rainey Street’s Clive, and Clive’s backyard Mezcaleria Ilegal.